As the Syrian conflict enters its sixth year Age International and our partners are stepping up our work to help even more older people to get access to the life-saving treatment they need. 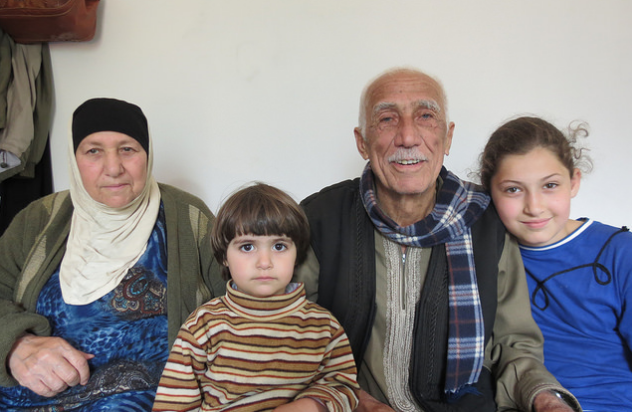 Lebanon is host to more than 1 million Syrian refugees, 2.6% of whom are aged 60 and over. Older people are generally less likely less able to make the long and difficult journeys that are needed to find refuge. That is why the majority of older people have either stayed in Syria or fled to neighbouring countries. These older refugees have specific vulnerabilities, such as long-term illnesses or disabilities. This includes people like Luhaya. 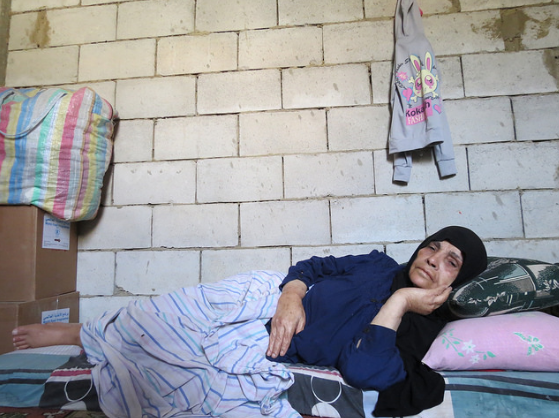 Luhaya is a 75-year-old widow who fled from Damascus three years ago with her son and his family. They are sharing a partitioned area of a large garage, which has been split into 19 rooms for refugees. Luhaya has diabetes, rheumatoid arthritis and back pain, and used to receive free diabetes care in Syria. When the family first arrived in Lebanon she bought drugs from the pharmacy, but they became too expensive. Our work means that for the past two years Luhaya has an easy-to reach primary health centre where she can get the medication and tests she needs. This Syrian family are living in temporary camp in Lebanon, they are still waiting to be officially registered. For Khalifa. 55, having free healthcare has been a vital lifeline. Having fled from the fighting in Syria five years ago with her family, Khalifa started suffering from hypertension when arriving in Lebanon. The family pays $70 a month for a plot in an informal tent settlement in the Bekaa Valley and would struggle to find the money to pay for healthcare. But through our health clinics Khalifa is able to receive free consultations and medication, ‘I like coming here, I feel safe,’ she says. The situation for older Syrians still living in Syria is even starker. Medical treatment of any kind is scarce and drugs for chronic diseases are just not available for many. Many older Syrians have little to no support network left as younger family members and carers have fled, leaving them unable to access essential supplies and services. One of the clinics Age International is supporting is within 30 minutes of the Syrian border and provides a range of services, including GP consultations, psychological support, dermatology, non-communicable diseases and acute infection treatment – but more needs to be done. The impact of the Syrian crisis on older people has not received the attention it deserves – we will continue to do what we can to change this.